Miami is the largest city in the state of Florida. It is a great place for people dealing with substance abuse to recover due to a large number of addiction treatment and rehab centers available to curb the rise of drug and alcohol abuse in the area. Drug abuse in the United States has been a real problem for a significant number of years now, and Miami is not exempted. There are more than enough rehabs in Miami, so a good number of cases of addiction and substance abuse are down to a lack of proper education about the topic. On that note, this review uses research-backed statistics to weigh the issue in one of the country’s most famous cities with the intention of educating people exposed to the problem. If you or a loved one are struggling with addiction or the effects of any type of substance abuse in Miami, Florida, feel free to call (888)-459-5511. Health professionals can help you to find the best options for rehabilitation close to you. 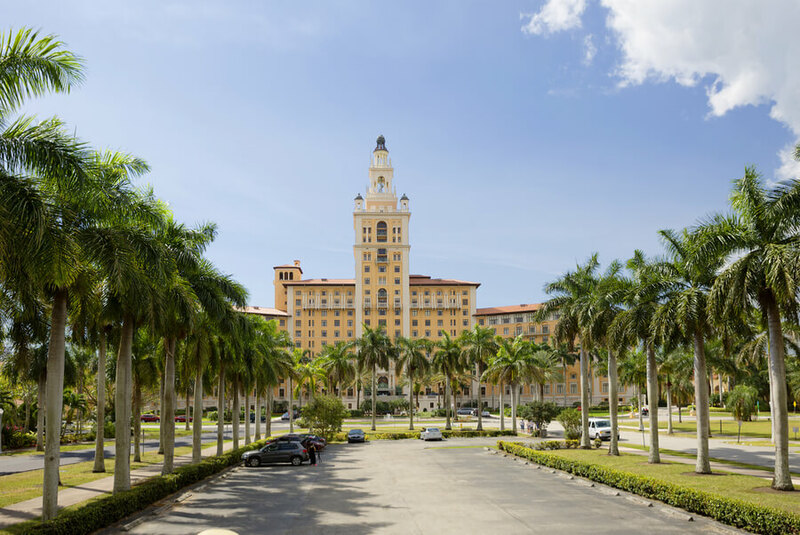 How many addiction treatment centers are in Miami, FL? What are the most commonly abused substances in Miami, FL? How Many Miami Rehab Centers Are Available? According to SAMHSA, there are 69 addiction treatment centers dedicated to substance abuse alone in the county. A larger number of facilities address substance abuse alongside mental health issues, with this number standing at 120 facilities. With the 2 million odd residents of the area, the citizen to treatment center ration is very healthy and more than enough to address the recovery needs of addicts in Miami. The city only gets an average of 50,000 new residents per year too, so the ratio is likely to remain healthy for a reasonable amount of time even without building any new centers. Of the 69 Miami county drug rehab centers that focus on substance abuse alone, 6 offer inpatient treatment; 63 offer outpatient care and 15 offer residential care. Of the 120 centers that address substance abuse and also serve as mental hospitals in Miami county, 22 offer inpatient care; 107 offer outpatient care and 18 offer residential care. These are not all mutually exclusive, so some centers offer two or more types of addiction treatment which are why the figures may seem mismatched with the total number mentioned earlier. There are several Miami detox centers that take the common approach of detoxification in preparation for treatment. It can be very hard to deal with withdrawal symptoms by oneself, and these detox centers provide assistance through the process. However, detox is only the first step, and it is still strongly recommended for the patient to get a proper treatment program at a treatment center. If the patient is recovering from substance abuse alongside their partner or the partner simply wants to show support, they may also take a look couples counseling meetings in Miami. The first step toward getting the right addiction treatment or rehab in Miami, FL is to identify and accept the specific problem that the patient is dealing with. It is very important to get help, but it is equally as important to get the right kind of help. For one, the patient has to choose the type of care that would be suitable for the severity of the condition. Usually, inpatient care and residential care are necessary for patients that have reached an advanced stage of addiction. It ensures that the medical personnel can keep an eye on them while they recover. On the flip side, outpatient care is fine for people that are only dealing with mild symptoms and don’t need to be watched day and night. Additionally, the best rehab centers in Florida have websites and testimonies on the Internet that can be dug up with a little bit of research. The patient can do this and weight the available options to choose the most suitable one. If you or a loved one are suffering from a substance abuse problem in Miami and you need help with choosing the right addiction treatment program, please call (888)-459-5511. Health professionals have the answers to most questions about the topic and can help you out. Rest assured that all calls will be treated as confidential. Substance Abuse Trends in Miami, FL. Facts and figures were taken from the report from The Miami Coalition. 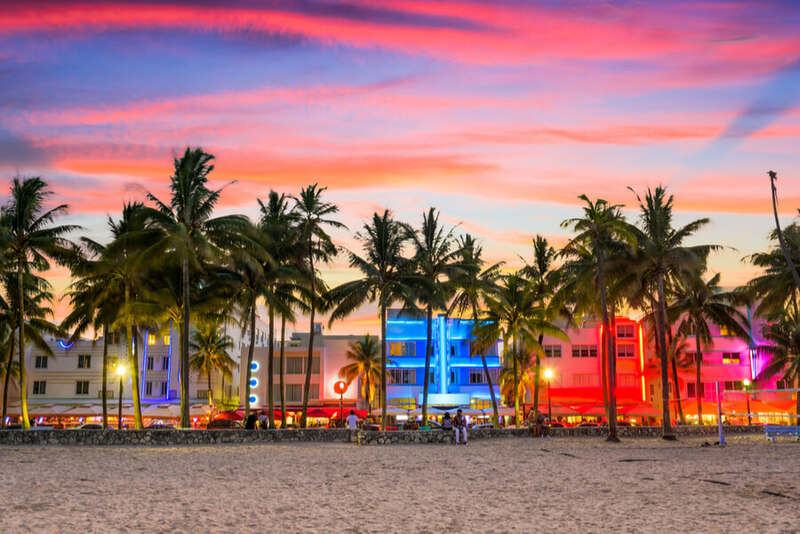 The rates of cocaine abuse in Miami, south of Florida are the highest throughout the country, despite the fact that there was a steady decline for a number of years starting from 2007 through 2011. From then on, the numbers steadied, and cocaine-related admissions and deaths rose. It was noted by rehabs and treatment centers that there was an increase in death tolls that could be attributed to the fact that people started to use cocaine in combination with other substances. In the first half of 2013 alone, there were 119 cocaine-related deaths in the county, compared to 198 throughout 2012. In all of these cases, cocaine was found to be present at a lethal dose alongside another drug. Interestingly, all of these deaths involved people over the age of 18. Marijuana is the substance that treatment is most commonly sought for in the county, although there was a decline in admission figures between 2012 and 2013. It is also the substance that has affected young adults and adolescents the most. In fact, 62% of the patients admitted for marijuana abuse were under the age of 18, and only 8% were older than 35. It shows a worrying trend of cannabis abuse among the younger generation in Miami. There were 1,351 admissions for marijuana addiction treatment in the county in the year 2013, up to 33% of the total number (4,061) of admissions for substance abuse incidents. The figure was higher than for any other substance, cementing the fact that marijuana is one of the most commonly abused drugs in the area. Benzodiazepines (more specifically alprazolam in Xanax) remains a problem for the residents of Miami. It is one of the pharmaceutical drugs that are abused alongside other prescription drugs, alcohol or illicit drugs. In the county, 55 people were involved in Xanax-related deaths in the first half of 2013 alone. Of this number, 38% had taken a lethal dose, and 100% had used the drug in combination with another. None of the deaths involved a person under the age of 18, but 50% involved people over the age of 50. These figures suggest that the trend is more common among the seniors in the area. The non-prescribed use of prescription opioids in Miami continues to be one of its deadliest drug abuse problems. The authorities have strongly fought to curb the increase of the abuse by introducing laws and regulations limiting the access that people have to the drugs without a prescription. A part of this effort is the introduction of tamper-resistant OxyContin drugs. However, the effort has not been completely successful. The occurrences of any of these four prescription opioids among deceased people in Miami county totaled 79 in the first half of 2013 alone. 36 of these were morphine-related; 23 were oxycodone-related; 16 were hydrocodone-related, and 4 were methadone-related. Despite the fact that morphine was the most recently introduced, it led to the highest number of deaths. 53% of the deaths also involved people over the age of 50, with only one case involving a person under the age of 18. Just as it is with benzodiazepines, the drugs are most commonly abused by the seniors.